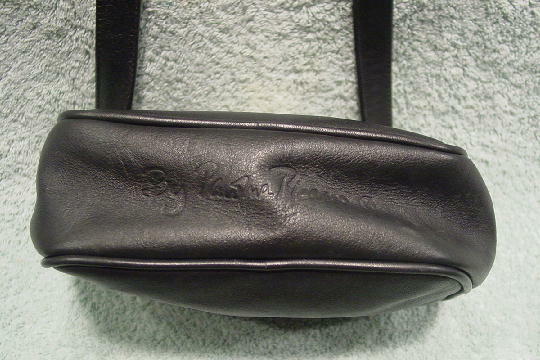 This genuine black leather purse was made in Italy By Paloma Picasso. It has a top side to side zipper with a gold-tone logo X pull. 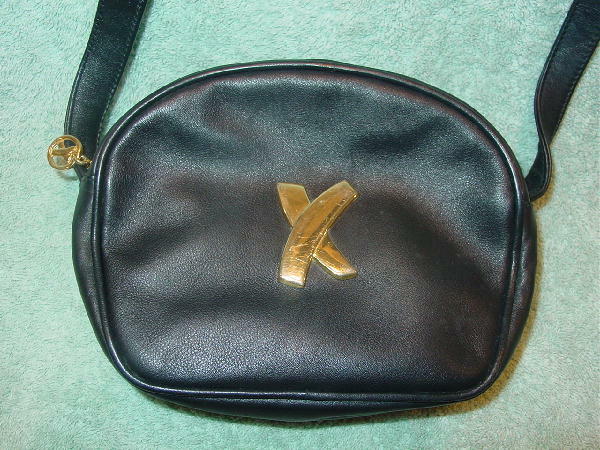 The black fabric lining has a tone-on-tone By Paloma Picasso and large X's. 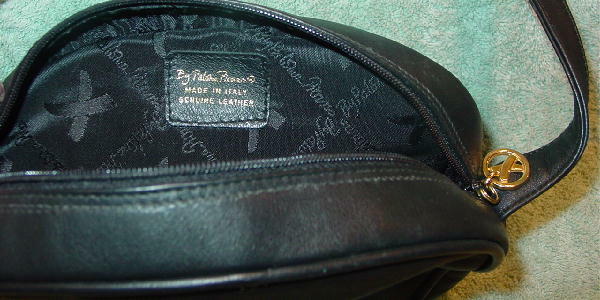 On the outer bottom of the purse is an etched By Paloma Picasso. 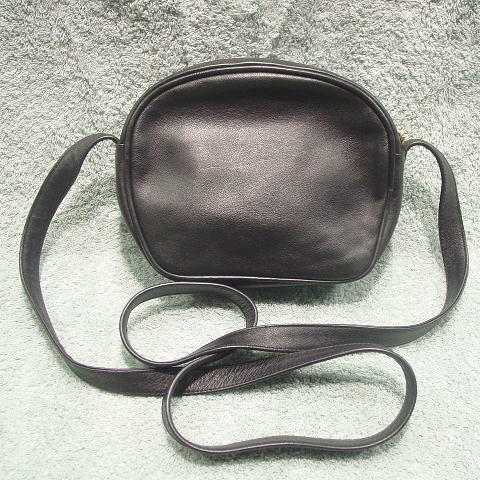 It has a 52 1/2" by 3/4" shoulder strap. On the front is a large metal gold-tone logo X. There is a horizontal line indentation on the back.